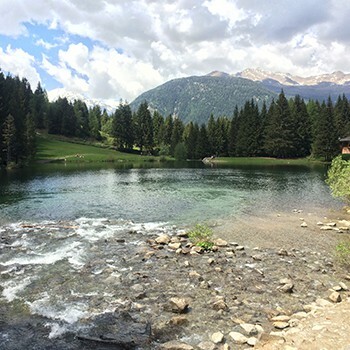 In Val di Sole there are over than 100 lakes, are one the most natural reality of the land. Most of them are their origin from glacier, but other are artificial for production of electric energy. Walking around this lake is a great opportunity to visit the nature, the mountains and the great view on the panorama. It is the biggest of the glaciers lakes, situated at 2427m. It is in a basin of paragneiss. The bigger deepest of the alpine lakes. The most clear and reach of life of the other lakes.